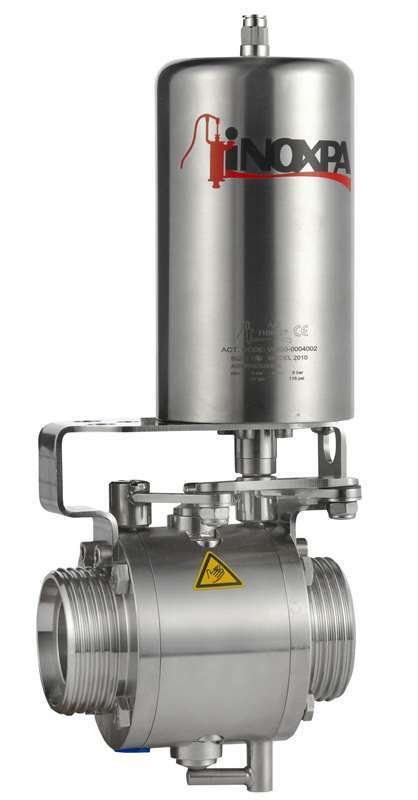 Double butterfly valves can be used in most liquid product applications in the food-processing, pharmaceutical and chemical industries. 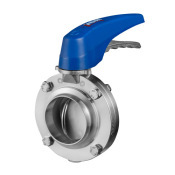 The LBV (Leakage Butterfly Valve) valve offers an easy and safe separatation of products and prevents accidental mixing in case of gasket failure. 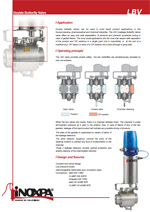 The most usual applications are the ones that require safe separation of the product and CIP solutions in a single point (not in manofolds), or at the end of a manifold (e.g. 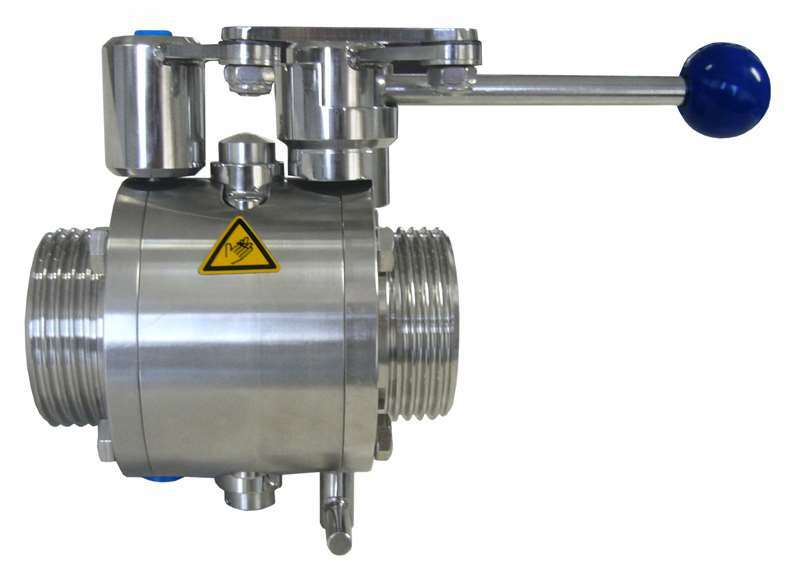 CIP return) or entry of a CIP solution into a tank (through a spray ball). 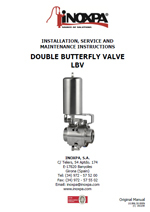 The LBV valve provides double safety: the two butterflies are simultaneously actuated by only one actuator. When the two valves are closed, there is a chamber between them. The chamber is under atmospheric pressure as it open to the exterior, thus, in case of failure of any of the two gaskets, leakage of the liquid product will indicate any possible mixing of products. The state of the gaskets is supervised by means of either of the leakage detectors. The other detector (superior) controls the entry of the cleaning solution to prevent any kind of contamination in the chamber. 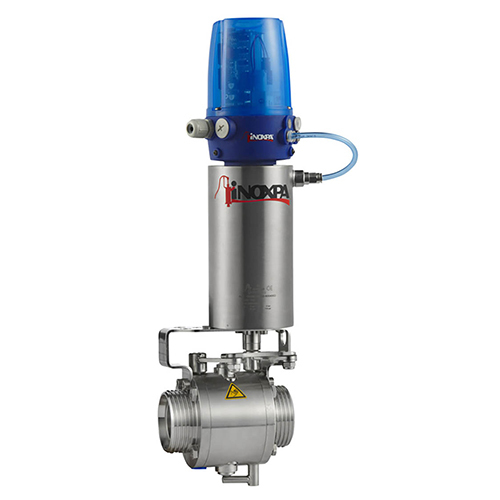 These 2 leakage detectors provide optimal protection and enable cleaning of the intermediate chamber. Interchangeable half-bodies (any connection type). Connections: SMS, RJT, FIL-IDF, etc. C-TOP control head (inductive position sensors or microswitches).